Hyperbaric Oxygen Therapy (HBOT) is a medical treatment that delivers 100% oxygen to a person within a pressurized chamber. During treatment, oxygen under pressure fills the hyperbaric chamber, increasing the oxygen concentration within a person’s body 15 to 20 times greater than the normal at cellular level. Increased oxygen tension accelerates healing processes and aids recovery from certain conditions and maladies. 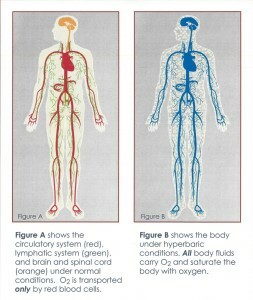 Under normal circumstances, red blood cells are able to deliver essential oxygen to all parts of the body. 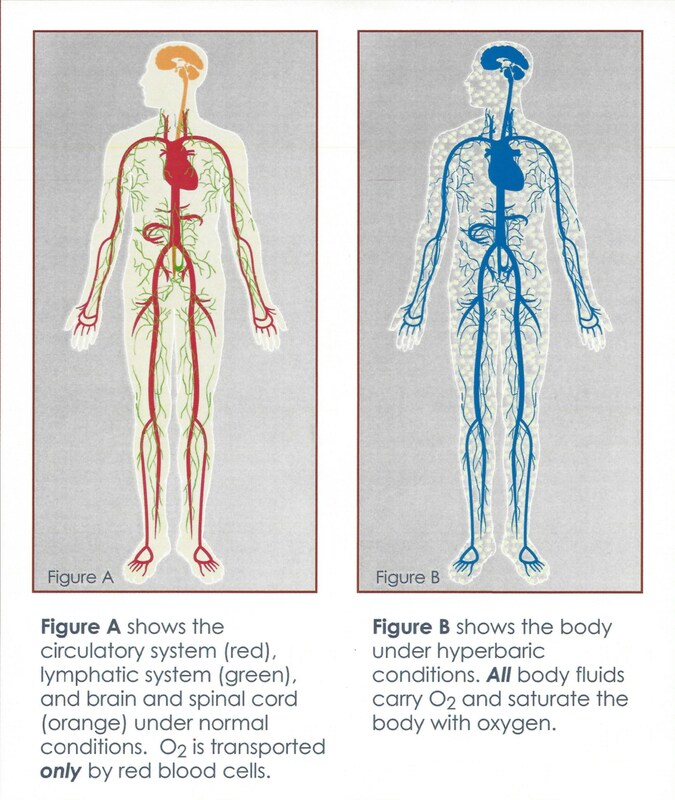 With the addition of Hyperbaric Oxygen Therapy, all body fluids (plasma, lymph, cerebrospinal and interstitial fluids) become capable of oxygen delivery at the cellular level. HBOT increases tissue and cellular oxygen levels, thereby initiating the growth of new blood vessels and creating an oxygen rich environment. HBOT therapy delivers pure oxygen to the body which decreases inflammation and increases blood flow promoting the healing of tissues, including the brain. 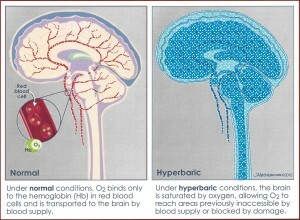 Oxygen is able to reach areas of the body previously inaccessible by blood supply or blocked by damage.